Now, now! Just before we bid the summer away, to welcome the falling leaves from trees going brown transitioning to autumn. We must enjoy the warm weather as it last. That means trips to the seaside and eating as much ice cream as we can. 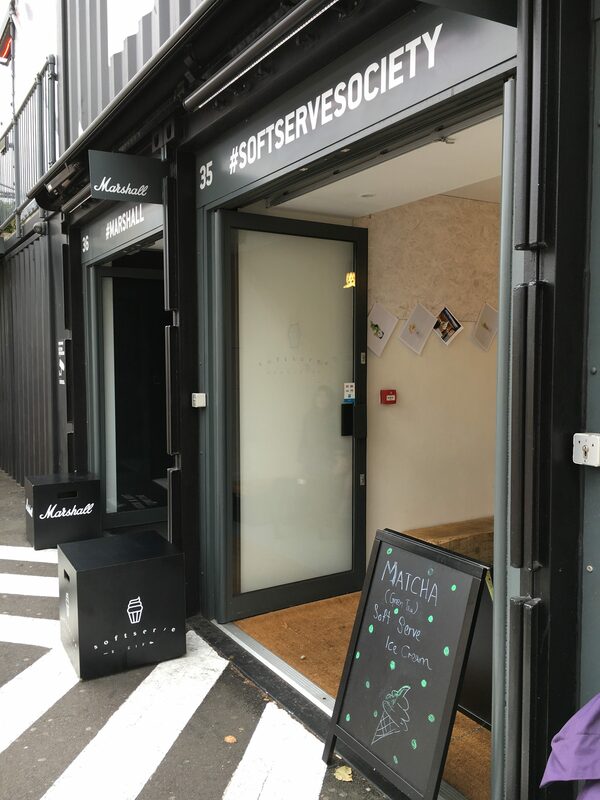 So head down to Softserve Society at Boxpark in Shoreditch for the most delicious premium soft serve ice cream you can get in London. Not only can you get ice cream, sundaes, matcha lattes there are FREAKSHAKES at Softserve Society! 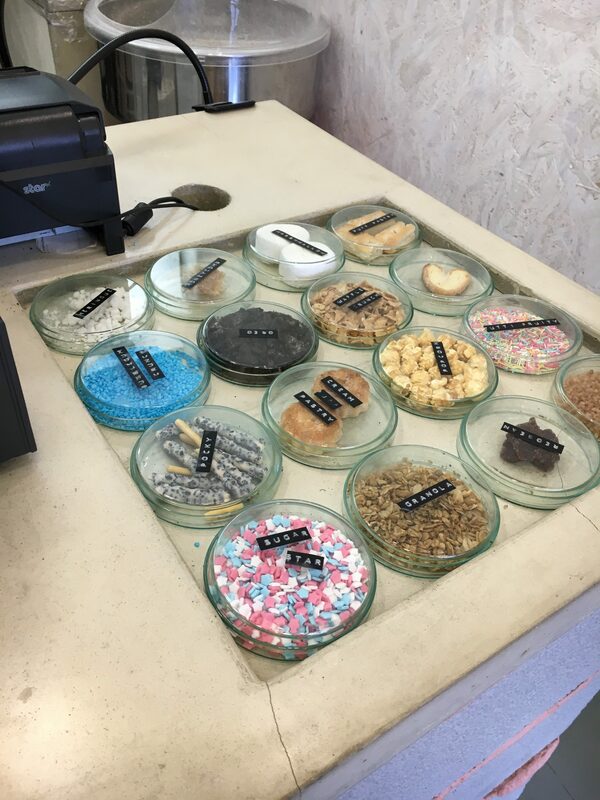 Yes, the new trend of crazy shakes stacked up high with all sorts of sugary treats. I had something similar at Cereal Killer. It’s a tiny spot being in space in Boxpark. 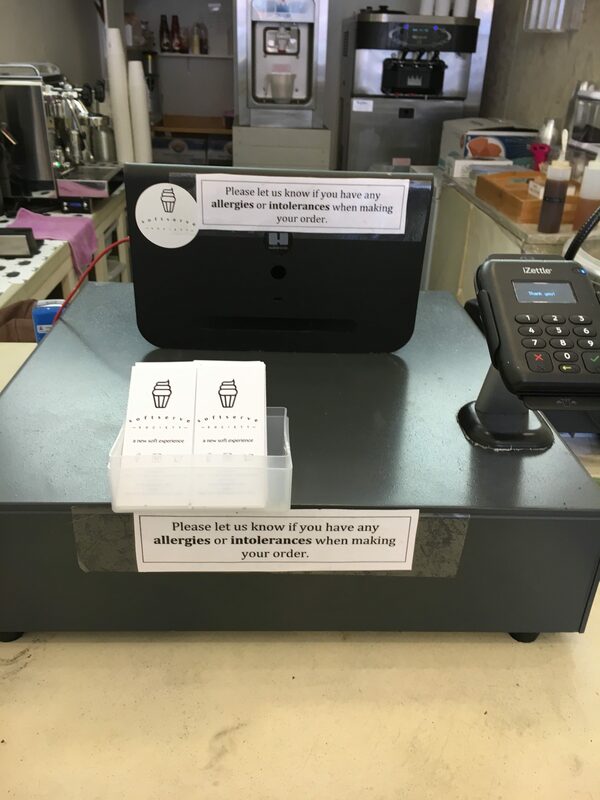 There are seats to fit 6 people inside and only two people behind the till. Succulents filled the shelves and the logo is plastered big against the white wall. 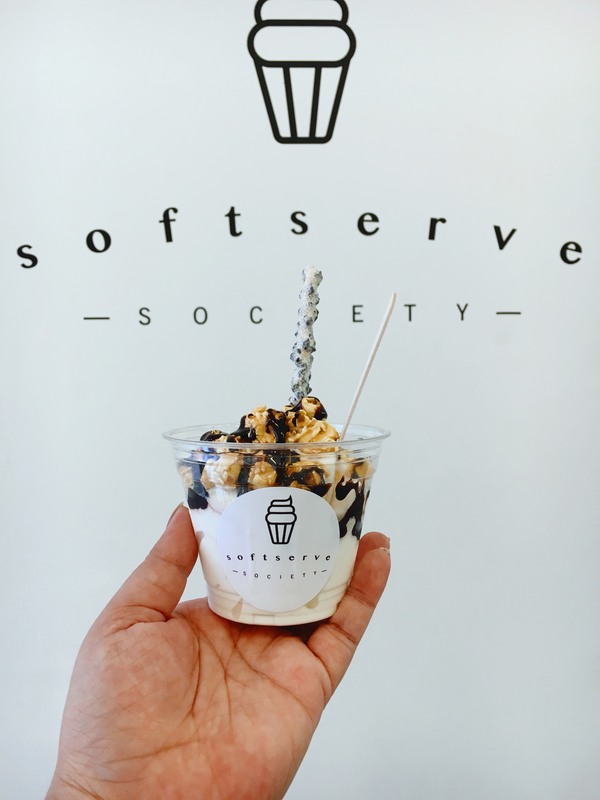 Softerve Society dessert bar menu is simple, go plain with just a flavour in a wafer cone, try out the killer combinations of sundaes, go all out on the crazy freakshakes, or just chill with some tea or coffee. Space is limited inside so grab a spot and whilst you can. I went for one of the sundaes at Softserve Society. 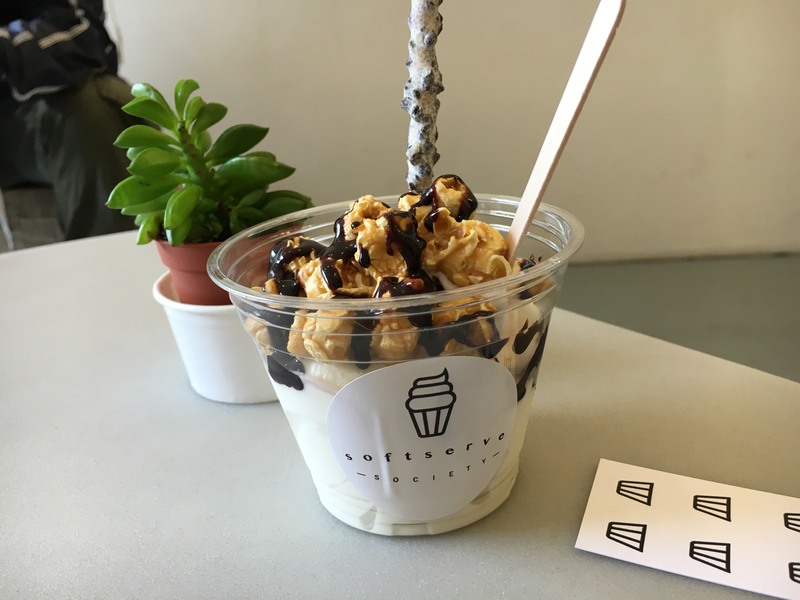 What’s Popping £4.95 – a vanilla soft ice-cream base with caramel coated popcorn, drizzled with chocolate sauce and a cookie and cream Pocky stick. It’s an impressive combination, the real essence of vanilla, crunchy and sweet popcorn, and that oreo tasting pocky in between bites. Next time I try out the Freakshakes before they finish their residency at Boxpark. Yum! I wish these guys were coming to BoxPark Croydon too. You need to tell them to open in Croydon!